WanderSafe is the world’s holistic first solo explorer’s safety solution. It was developed by a female global nomad. She met thousands of women and vulnerable people who experienced various forms of violence and assault when traveling and commuting. In uncertain times, where there are situations and information could save your life, they’ve combined a smart personal safety device an intelligent smartphone app where JENI, your virtual safety concierge, provides you with location-centric travel tips personalized to your travel habits. 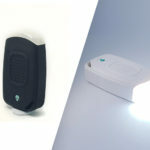 The WanderSafe device is discreet — it can be held in your had and unseen by a potential attacker. Unlike your slick smartphone, it won’t attract unwanted attention unless you activate it and you don’t have to pray SIRI is able to respond fast enough. The WanderSafe is very simple to operate and is designed to de-escalate a potential unsafety situation as they believe the best confrontation you can have is one you can avoid. Out of the box, you can now walk, run and explore and feel more empowered.